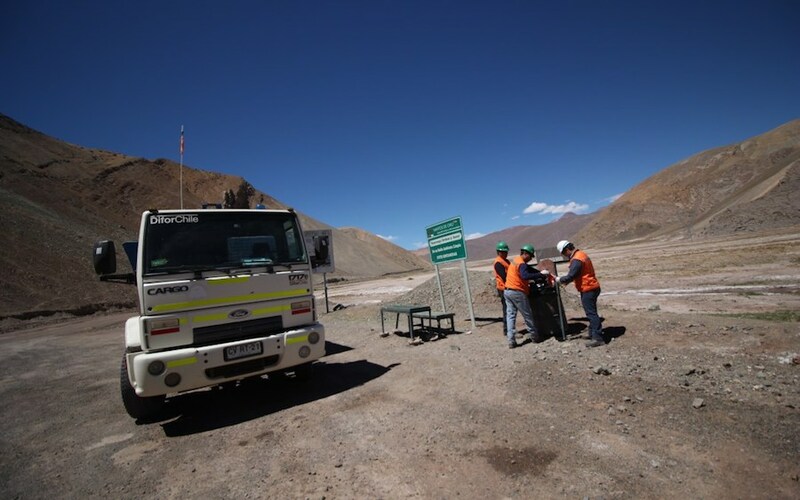 Canadian miner Kinross Gold (TSX:G) (NYSE:KGC) may soon make a decision about whether or not to restart operations at its La Coipa gold and silver mine in northern Chile, as it expects to receive the remaining permits to resume mining by July. Operations at La Coipa mine, located in Chile’s Atacama Region, were halted in 2013, when the targeted orebody run out of riches. But the results of a pre-feasibility study (PFS) completed in 2015 lead Kinross to evaluate extending the mine life, through the so-called Phase 7, which has an expected initial investment of $200 million. According to that study, La Coipa is expected to generate a 20% internal rate of return during the expected 5.5 year mine life at an assumed gold price of $1,200 per ounce, with average annual production of 207,000 ounces gold equivalent and average all-in sustaining costs of $767 per ounce of gold equivalent. The so-called Phase 7 at La Coipa mine will need an initial investment of $200 million. In a conference call with investors in February, when Kinross published its 2017 results, president and CEO J. Paul Rollinson said that obtaining the final permits for Phase 7, would help his company make a decision on the project. "We are not in a hurry to put it into production," said Rollinson, noting that Kinross has other priorities at the project level, according to local paper Diario Financiero. “So no decision eminently. It's not a big needle mover in our portfolio, but it's moving along,” he said. Earlier this year, Kinross agreed to pay $65 million for the 50% of the Phase 7 deposit it did not already own to gain full ownership and related mining rights. The transaction, expected to close in early May, followed studies that allowed Kinross to add 844,000 ounces of gold and 34 million ounces of silver in 2017 to mineral reserve estimates from the Phase 7 and Purén deposits, which comprise the La Coipa Restart project. Kinross has a diverse portfolio of mines and projects in the USA, Brazil, Chile, Ghana, Mauritania and Russia, employing about 9,300 people worldwide.